Xenon2 Hybrid Folding Ultra-Lightweight Wheelchair. 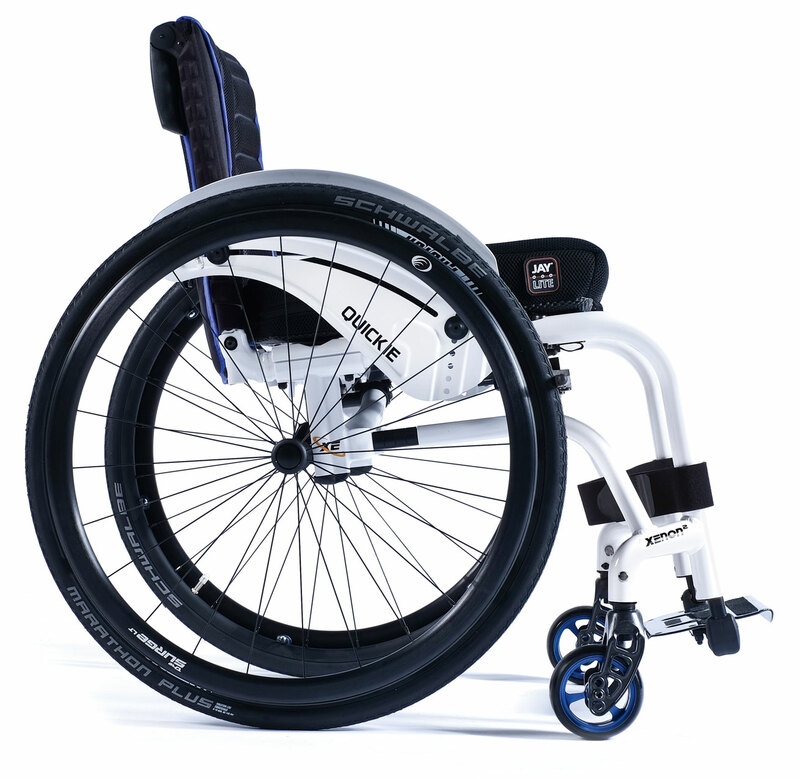 The active ultra-lightweight folding wheelchair with no compromises on rigidity. With a reinforced fixed-front frame to provide maximum rigidity, efficient driving performance and an increased maximum user weight of 140kg. 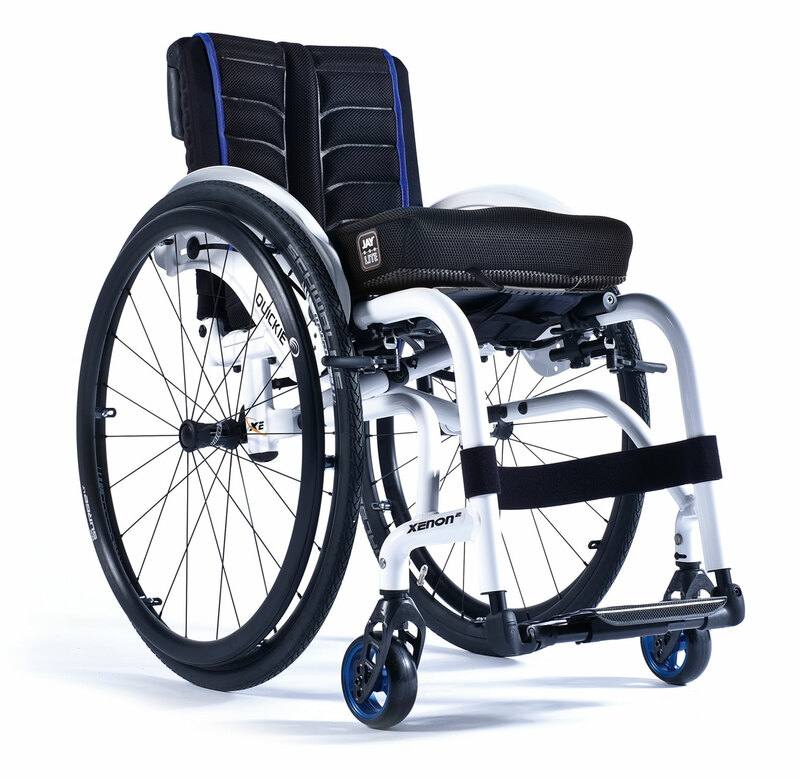 The Xenon² Hybrid has all the benefits of an ultra-lightweight wheelchair with no compromises in terms of rigidity. From just under 9.5kg and with a new unique cross-brace combined with the completely re-designed axle stem the Xenon2 Hybrid active wheelchair is easy to fold, lift and transport. 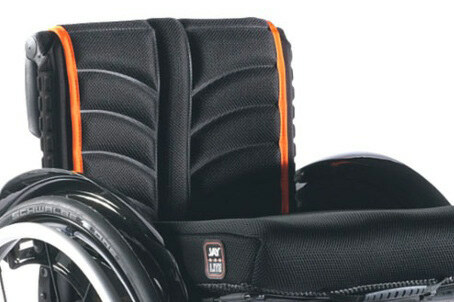 The Xenon² Hybrid is also ideal for use with the QUICKIE Attitude range of wheelchair hand bikes. Personalise your ultra-lightweight Xenon² and stand out from the crowd with a versatile palette of 32 frame colours. There's also five distinctive anodised styles to choose from for the castor fork and wheel. You can even accentuate your colour scheme further by matching or contrasting the upholstery trim colour of the Exo backrest upholstery.